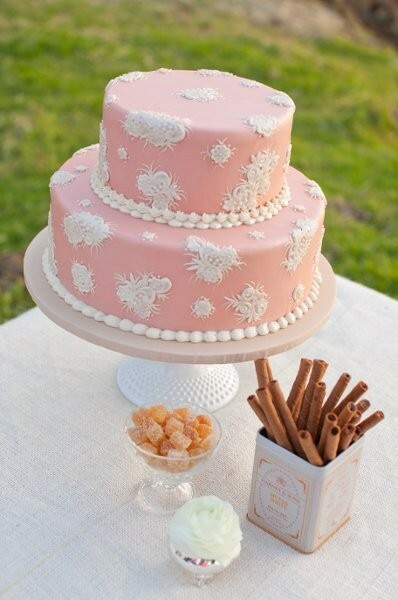 I’m loving the pink icing on this cake and the addition of floral lace-inspired designs gives the cake a gorgeous retro look. The pearl inspired piped icing around the tiers adds a perfect touch of elegance. There’s no need for any other embellishments or even a cake topper with this stunning cake. You’ll find this pink confection here. It was created by Hawaiian Cakestations.